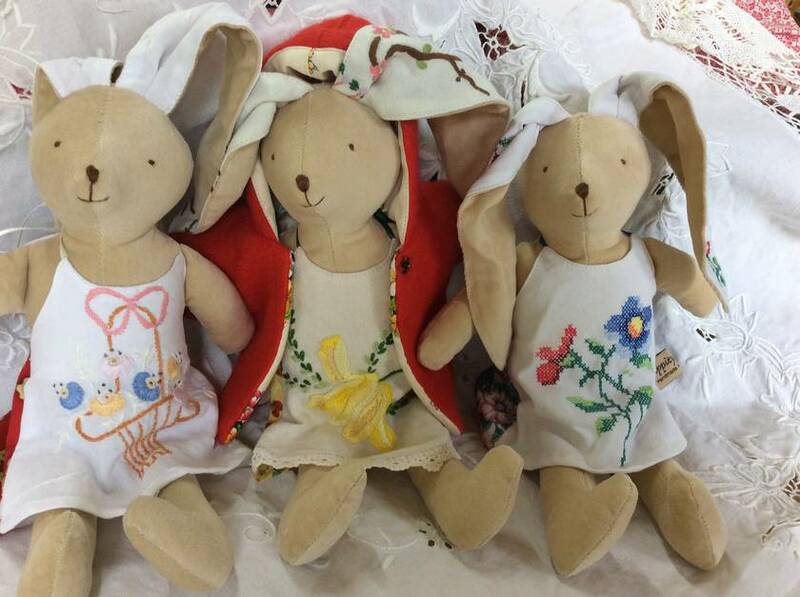 Vintage Bunny Dolls are carefully stitched from vintage linens and textiles to my own unique design. 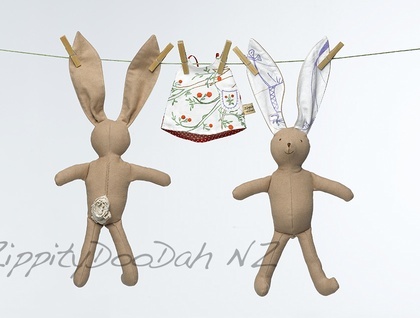 I first started making my bunnies after reading the velveteen rabbit storybook. The little dresses are made form vintage doilies, and their cute little bunny tails are made from vintage lace or handmade crochet from vintage linens. They have hand stitched faces, and often I add little embroidery details to their dresses. Each bunny has her own unique personality. 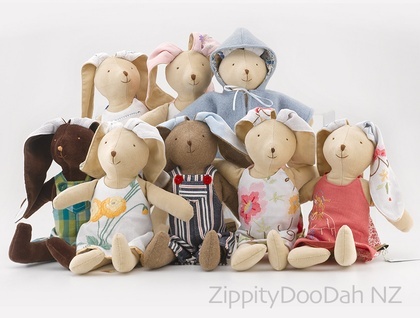 My current bunnies are made from soft caramel cotton velveteen with a lovely smooth feel. I cut the fabric so the nap goes down the bunny for maximum softness and the best cuddles! 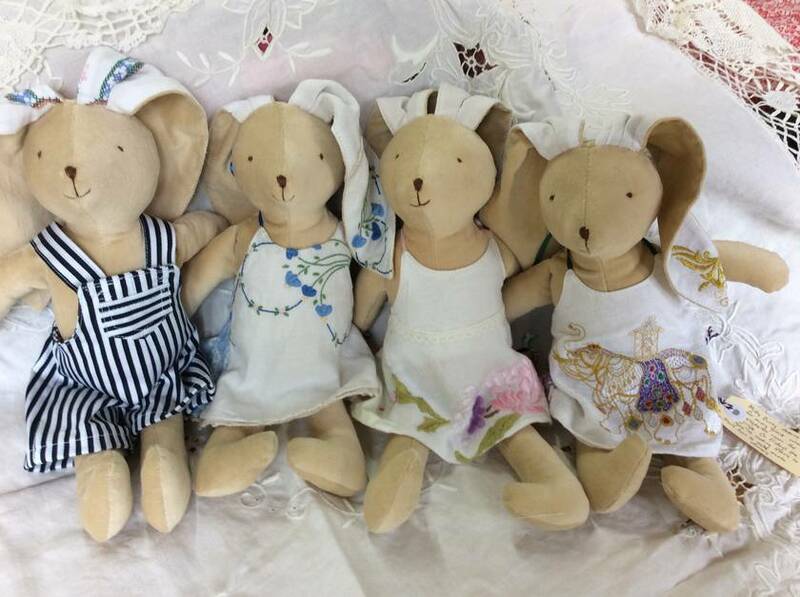 Bunnies are $48.00 each and come wearing one dress. Extra dresses are available for $16 each. I also have Boy bunnies available. As I take my bunnies to craft markets my stock of bunnnies is always changing, if there is a particular bunny or colour you are looking for please feel free to message me or let me know your preference when sending through your delivery details and I will do my best to match you up with the best bunny for you. To see more info and pictures of the bunnies please see my blog or facebook page.